Never been to Naracoorte? For a perfect getaway or an ideal stopover destination, Naracoorte is in the beautiful Limestone Coast region of South Australia. It’s a 336 kilometres drive south-east of Adelaide and 100 kilometres north of Mount Gambier. 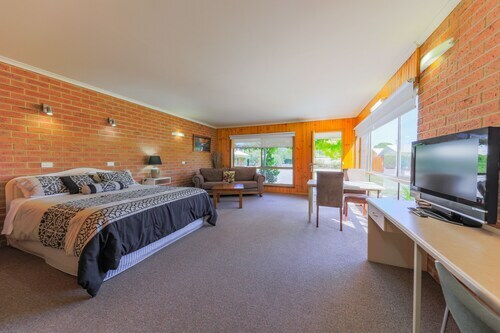 Our Naracoorte accommodation is ideal for exploring this unique area. Settled in 1847, Naracoorte is thought to be an aboriginal word, meaning place of running water or large waterhole. The town grew during rapidly during the 1850s due to its location between Adelaide and Melbourne, conveniently situated to provide services for prospectors going to and from the Victorian goldfields. Major attractions in the area are the Naracoorte Caves National Park and the Wonambi Fossil Centre. The 26 world-famous caves are important fossil sites and some are even scientific research centers. You can tour some of the more spectacular ones which house the remains of prehistoric birds and extinct Australian megafauna, and stunning stalactite displays, particularly in Alexandra Cave. Using infra-red technology, you can also see the original Bat Cave. No caped crusaders, but thousands of breeding bats. 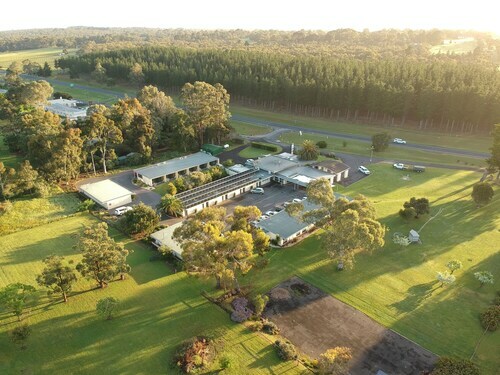 Above ground, you can take nature walks on bush tracks and visit the excellent Sheep's Back Museum, featuring the rural activities of the region. And for lovers of wine there is the Coonawarra region, right on Naracoorte’s doorstep. Dozens of wineries are clustered along a stretch of limestone country on either side of the Riddoch Highway. You can taste, explore and buy at the cellar doors. Many offer superb fine dining and casual lunches. Warning! You might not want to leave. If you want to venture from your Naracoorte base, there are easy day trips to enjoy. Only 21 kilometres away, the protected Bool Lagoon and Hack Lagoon wetlands and game conservation parks are must-see places and absolute paradises for bird lovers. One hour’s drive west will take you to the coastal town of Robe. In this pretty fishing town you can walk, surf and see the sights. You’ll never forget your visit to Naracoorte. Book your Adelaide flights and Naracoorte hotels now and see what the South East has to offer you. How Much is a Hotel Room in Naracoorte? 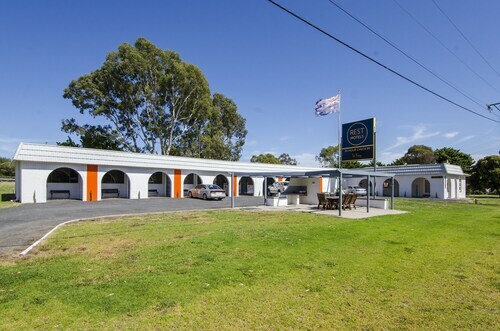 Hotels in Naracoorte start at AU$101 per night. Prices and availability subject to change. Additional terms may apply. Very clean rooms and good amenities. Overall a pleasant place to stay in Naracoorte. Clean room, place to sleep while away for work reasons.